Take a Risk, Dive Into What You Want! Being a risk taker pushes you out of your comfort zone to your next level. I take risks, try new things. Trying new things pushed me to create Professor Real Estate® a fun real estate commentator and empowerment co. backed by my strong experience as a real estate attorney & broker! Professor Real Estate® empowers everyone to make smarter real estate decisions! Click to watchProfessor Real Estate® diving into it (sandboarding in Ica, Peru( to get you ready to dive into your risk! (Scary at first and worth it!) Read below for Professor Real Estate®’s Moto (motivation) to help you get to your next level! Get to your next level… maybe your next level is buying your first property, getting a mortgage or new job, quitting your job, starting your own company, taking a leadership position in the community, getting your graduate degree, learning a new language or meeting people different from you. I can’t do it because it will take time. Remember time passes anyway! I can’t do it because I’ve never done it. You can learn it! I can’t do it because everyone wants it. If you want it more, you’ll work harder to get it! What if I apply and I don’t get it? Hey, if you don’t try, the answer is always no! What if I don’t succeed? Success is what you do after your first plan doesn’t work! What if they say no? Sometimes, no means “not right now” hang in there – you’ll get your Yes soon! I’m too old, too young. All ages are right to go after what you want! It will be too hard. The harder I work…the luckier I get! Success comes from hard work! 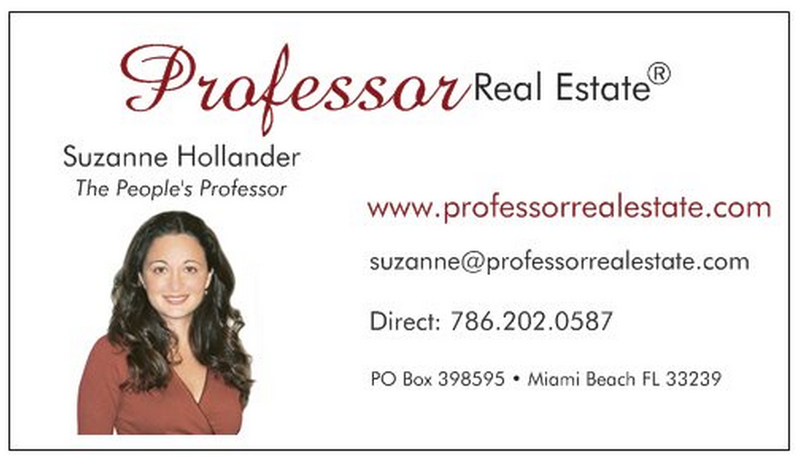 Contact Professor Real Estate® Suzanne Hollander for real estate motivation! She motivated and empowered 1,000s of clients, students and followers and she can help you meet your real estate goals! To learn more about Real Estate send an email to the Suzanne Hollander Companies: Hollander Realty LLC offers smart, confidential real estate services to sellers and buyers of residential and commercial property. « Save 4% off Property Taxes in November!